Open floor plans have become quite popular in recent years for a variety of reasons. Sometimes, it is just the type of floor plan that makes the most sense for a home, and in other cases, homeowners looking to remodel but aren’t able add on use this option to make their homes feel more spacious. With such a floor plan, though, you will still want to define each individual space of a larger, open room. For instance, if you choose an open layout for your kitchen and sitting room or keeping room, you’ll want to visually separate the spaces in some way without losing the expansive feeling. How do you do that? The answer is a clever divider! 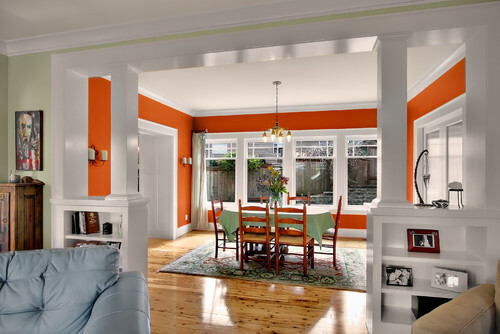 Take a look at some examples we recently came across on Houzz. 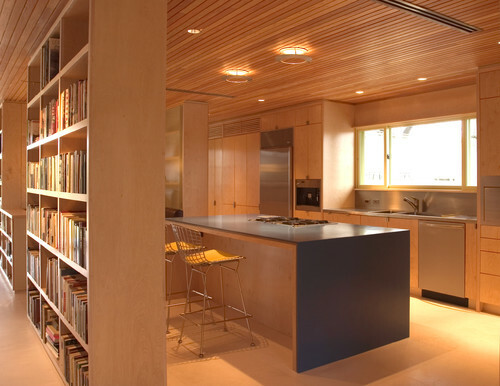 Bookshelves are used in a few of the rooms, and for the kitchen, it’s actually a very practical idea. 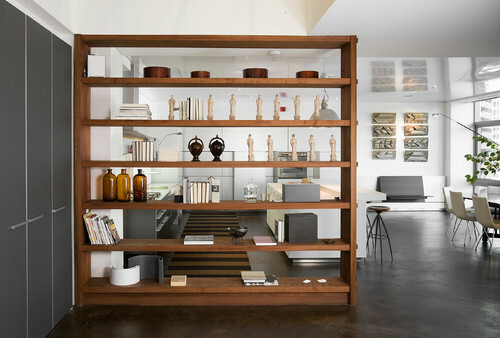 The shelves can be used for storing your favorite cookbooks, as well as family photo albums, and you could even use a few shelves to display a framed painting or a small sculpture. Architectural elements can also be used. In the example below, the dividers are on the sides of room instead of across the center. This look defines each space, but in a less obtrusive way so the open feeling is still extremely present. These are just a few ways to define the different spaces in an open floor plan. There are plenty of other ideas you can incorporate, like simply rearranging your furniture. All you have to do is think creatively! Be Bold, Be Brave, Design with Pink!